From couch sliding to running the first 5k and a half marathon to discovering sightrunning, every runner has its path, but the evolution is inevitable. 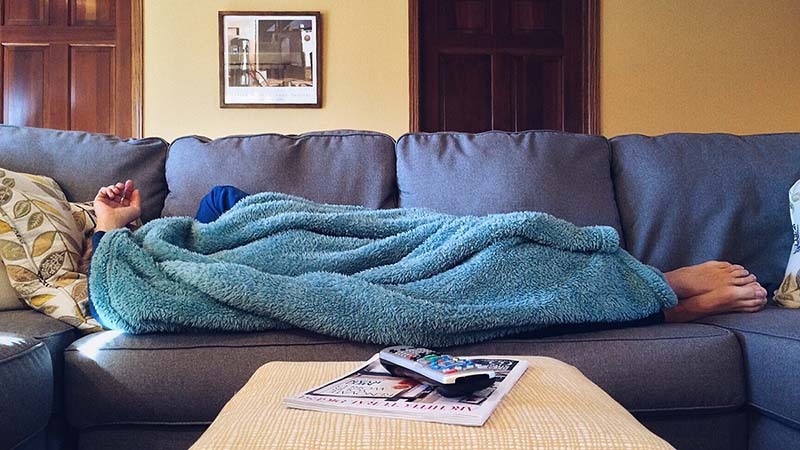 Most of us runners went in our life through a phase when we kept lying in our bed and watching TV while filling ourselves with junk food – hour by hour, day by day, month by month. The lazy one inside of us was very pleased with that situation, but something was missing. You know that feeling when you’re resting all day long, but as the day goes by, you feel more and more tired. How come that we’re not feeling more and more restful? And it hits you one day: “I need to start exercising.” We’ve all tried to do a great number of fitness routines, but at some point in time, we found ourselves stuck in the same workout routine. And one day we found out that there is something great happening in our city, country. We started to notice that there are more and more crazy people running through our favorite parks. They’re all dressed up like there is no fashion. And later you’ll find yourself looking the same as they are. Running? Is that for me? But I never liked to run? I tried so many times to run, but it never felt so good to me. Is now the time to try to go for a run again? You found out that there are so many running clubs (or so called schools) in your city or you found an app that will show you how to run 10k, 21k or a marathon. So you started to run 3 times a week. At first your running is combined with 2 minutes of walking and two minutes of running. You come home after your run evidently looking fresher and happier. “What is happening to you?” – people start asking you. You tell them that you’re going to a running club (school). You need to go to a club or a school to be able to run? You don’t know how to answer them, but you know that something good is happening and you’re happy with that. You do not pay attention to those comments and suddenly you run 3 times a week and you’re able to run more and more. And you are surrounded with so many different types of people that all have one thing in common. They’re all starting to fall in love with running. And you’re becoming a runner. After one month or two you can run 5k without stopping. And you found out that there is a 5k race in your city taking place next weekend. You finally decide to register for this race. On that Sunday morning, you’re on your way to that race asking yourself what is happening. You’re excited and a little bit scared. Last week you received a lot of advice from your coach. You don’t know what they all mean. Oops, you finally arrived to the starting venue. There are several hundred-adrenaline pumped up people who are running headless in all possible directions and stretching themselves. You’re so intelligent and somehow manage to conclude that they’re warming up. You decide to do the same. You put on your poker face and start acting like you know what you’re doing. 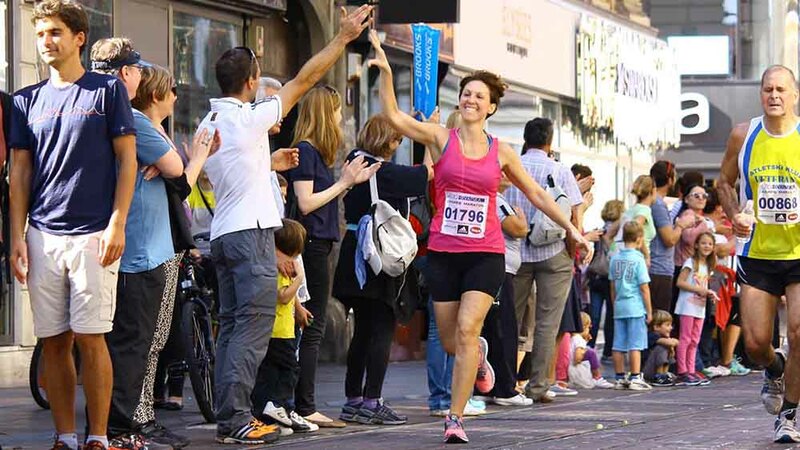 Nodding your head and greeting your fellow runners like that is your 100th race. Maybe nobody will find out that this is my first race. And then finally starts the race. And off you go, running like you stole something. But after several hundred meters you feel breathless and start to slow down. You start asking yourself why you’re doing this. I’m serious man/woman and I should be at home with my family. But there is no turning back now and you’re going forward and forward. Finally, at the horizon you see the finish line. It looks close but it doesn’t feel like that. One step at a time and it’s finally coming closer. You can hear cheering at the finish line and you put on your smile. You don’t want to look like you’re dying. And you finally cross the finish line. Your first race is over. After some time you get your breath back and feel happy and satisfied. Don’t know why, but later you find yourself addicted to that feeling. And you become a runner. Six months passes by, one year passes by. You are still in love with this running madness. Even more in love. Feeling fresh and happier. Going to work like you love your job. Everything is going well. But as the days go by, you run more and more miles and start feeling ready and pumped up to run your first marathon or half marathon. By now your wardrobe is filled with tights, colourful t-shirts, new running shoes, hats and gloves. Dry-fit is your new fashion. There are some new words in your language like: average pace, heart rate, sprint, LSD (Long Slow Distance), carboloading. And the day to run your first marathon is finaly there. Everything is the same as for the first race, but now the stakes are higher. The distance is longer, the effort you put in is greater. And the question “Will I make it to the finish line?” is bigger. But like in everything in life you don’t think about the failure. The only thing on your mind is success. And of course, you do succeed. You finally ran your first marathon. Your legs hurt like hell but your heart is filled with joy and happiness. Not to mention the big medal around your neck you wear like you won the Olympics. That is one heck of an achievement for one individual. To finish a half marathon or a marathon. Run while you travel? That is something new. Before running came to our lives, vacation was pure leisure which did not include any type of activity. But now as a runner, you start wondering where will you run when you go on a vacation? Because you don’t want to miss your daily routine. Or you’re going on a business trip and you run early in the morning. But you don’t want to get lost and you want to feel safe while running in a new city. Thankfully there is a great movement in the world of running. Nearly every major city in the world has it’s own running tour company. 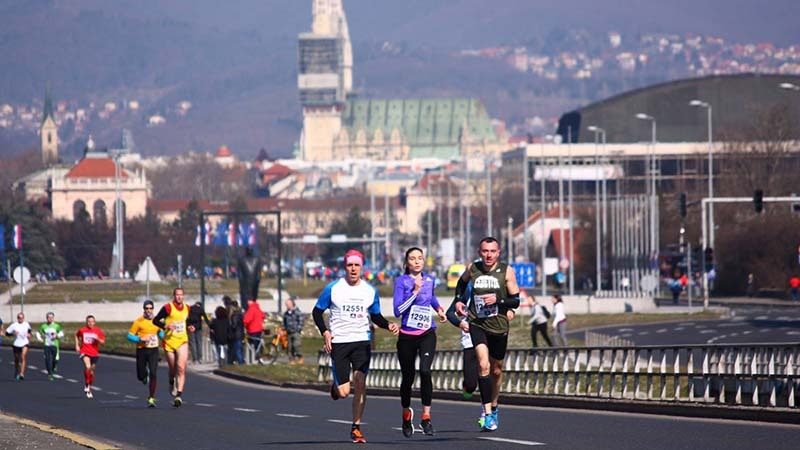 The running tours allow you to book a sightseeing tour with the local guide and allow you to run like a local and at the same time you are learning about the city you are visiting. This is sight running! 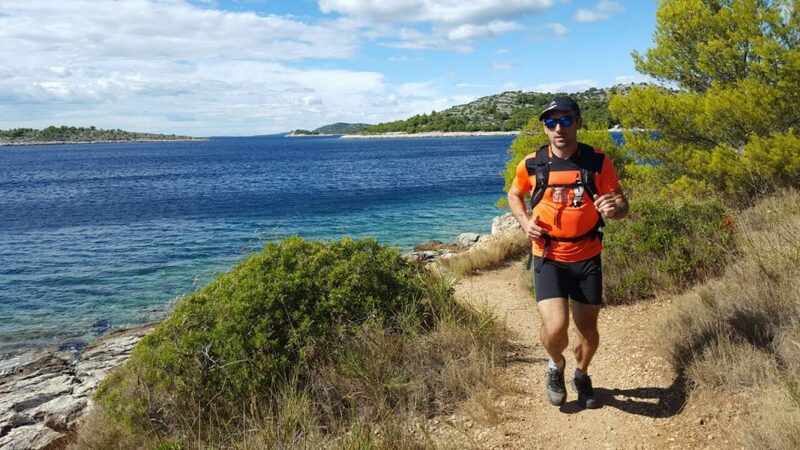 The web site runningtours.net lists running tours companies that can give you this new experience. Before traveling to some country or a city, try to find out if is there a running tour company in your travel destination. With technology going further and further there are a great number of mobile apps that are starting to be our companion while running. And there is a new app that will be your new companion while traveling. It is called SightRun app. SightRun App is available on Android and iOS platform. This app allows you to do your daily run even when you travel. Or even better. It allows you to find out more about the city where you live. SightRun is a mobile app for audio guided tours. All you have to do is download the SightRun mobile app, choose the city where you are, download the tour and start running. App will then guide you to the starting point of the tour and the new dimension of running is here. Press play on the running screen and listen to your virtual running guide very carefully as it will navigate you through city streets and give you information about its history and fun facts about the city where you are currently in. Living or traveling. If you feel like you’re lost, you can always look at the app and its map as it will show your current position and navigate you to the next point to conclude the round tour. What a great way to do your daily routine and to find out more about the city. The evolution of a runner is inevitable. What phase are you in? Are you ready to evolve, to try something new, something different?